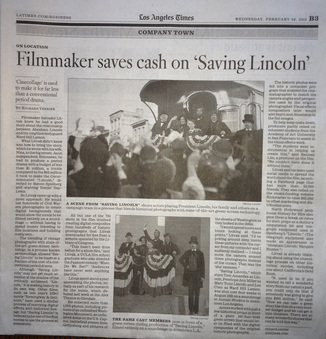 is the technique we developed to make Saving Lincoln - the first feature film to cover Lincoln's entire Presidency since D.W. Griffith's "Abraham Lincoln" (1930). 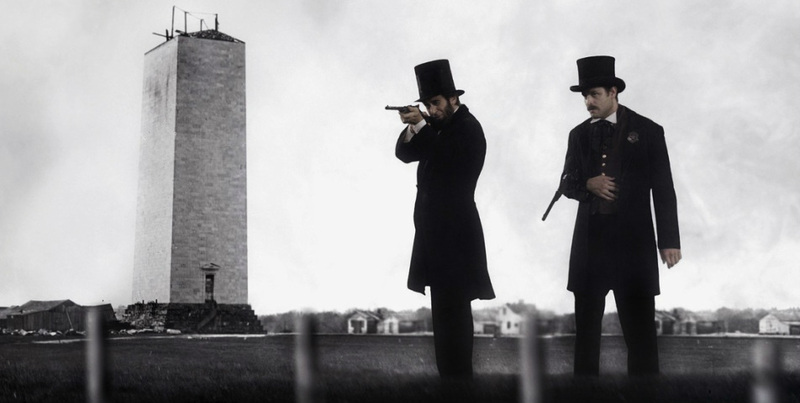 With an amazing team of digital artists, we shot an entire film on a green screen stage and created all of the sets and locations out of vintage photographs from the Library of Congress. CineCollage allowed us to make en epic historical drama for a fraction of the cost of a traditional film, while adding immersive authenticity. There is simply no substitute for having your characters inhabit the location where events actually happened.